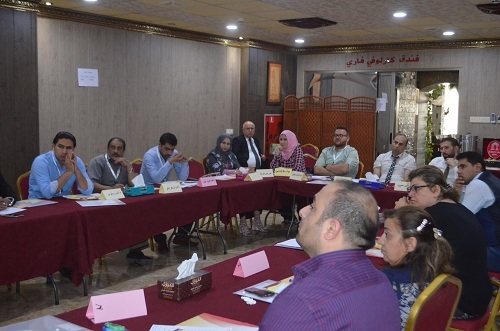 Hammurabi Human Rights Organization launches the second training workshop for teaching staff, pedagogics and educators within Ninewah province to promote religious freedom, pluralism and social peace in Iraq. 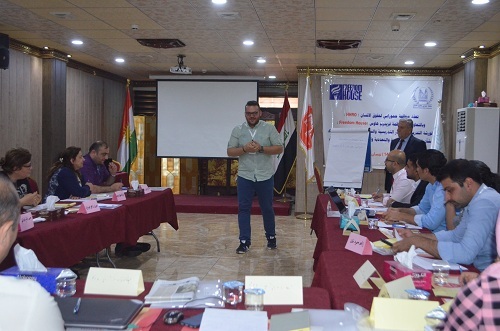 Hammurabi organization mobilize number of its leadership cadres to facilitate the work of the workshop and provide the necessary services for fifteen participating trainees. The instructor lecturer Dr. Mohammed Turki Al-Obaidi focus on the concepts of religious freedom, the dangers of intolerance and the fundamentals of education and training within the program of the first day. The project manager of the workshop, lawyer Yohanna Yousef Tawaya, convey the greetings of Mrs. Pascale Warda to all participants. Mr. William Warda participate in the interventions that took place during the first day. 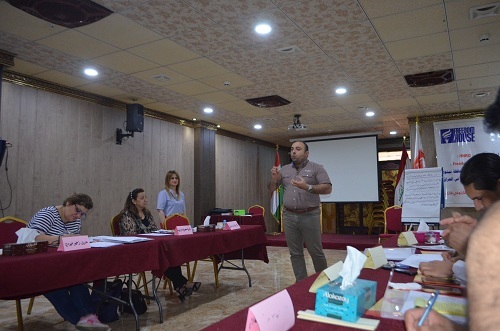 The workshop in its first and second settings held with the support of Freedom House Organization. 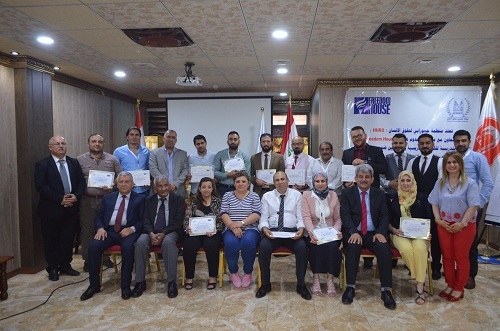 The second training workshop for teaching staff and educators in Ninewah province was for Iraq held in Erbil on the 12th April 2018. 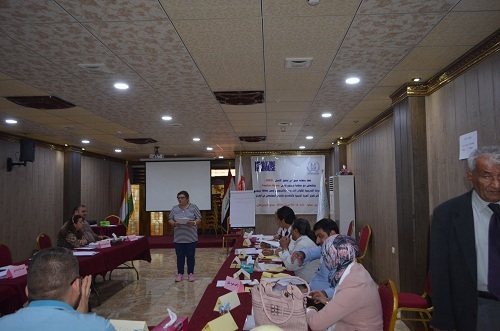 The workshop supervised by Hammurabi Human Rights Organization HHRO with the support of Freedom House. HHRO mobilized number of its leadership cadres to facilitate the implementation of the three day workshop program. The workshop was opened by Mr. Yohanna Yousef Tawaya, who conveyed the greetings of Mrs. Pascale Warda Chairwoman of Hammurabi Organization, to the participants and her wishes for success and good luck in serving the objectives of enhancing the role of elites and all those qualified for human rights and humanitarian to redefine the priorities and requirements of rising again the deep-rooted province of Ninewah with a great cultural heritage that will purify it of all the destruction, woes and impurities caused by the terrorist groups of ISIS. Mr. Tawaya the director of this rehabilitation project, added that he is confidently looking forward to the duties that will be shared by the participants in the workshop in the context of achieving civil peace and promoting the values ​​of diversity and solidarity on the basis of justice that is fair to the victims and establishes a clean new life from all the ravages of the province. 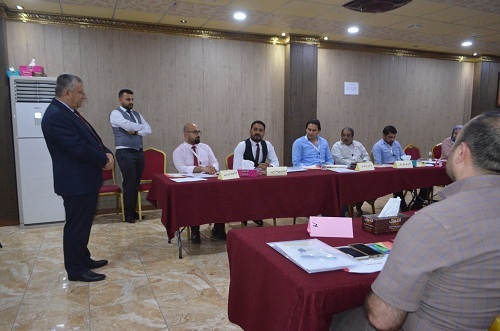 The program of the first day included an introductory meeting between the trainer Dr. Mohammed Turki al-Obaidi, an experienced academic in human rights and the fifteen trainees of various scientific and social specialties of Mosul and cities and towns throughout the province of Ninewah. 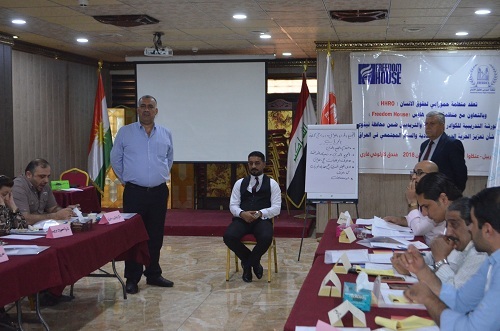 The first day program included an intensive review of the results of the first training workshop in the same context, which included thirty trainees chosen on the basis of selecting a group of fifteen trainees to increase their qualification to implement the objectives of Hammurabi Human Rights Organization. Dr. Mohammed Turki discussed the meaning of religious freedom and religious intolerance and the risks caused from the point of view of religion as a value for tolerance, solidarity and spiritual purity rather than intimidation, murder and confiscation of the rights of others. The lecturer referred to the concept of religious freedom in international covenants and commitments and in Iraqi legal texts. 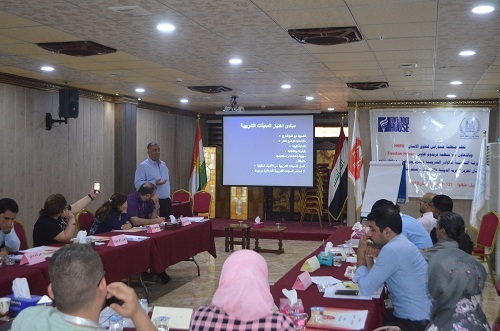 In his lecture, he adopted the method of trainees participation in the discussions, besides the important interventions of Mr. William Warda was keen to correct a number of misconceptions experienced by the reality of Iraq. In the second session of the first day of the workshop, Dr. Mohamed Turki Al-Obaidi discussed the topics of education and training, the difference between them and the mechanisms that should be adopted in injecting more of the preparatory knowledge to carry out the means. 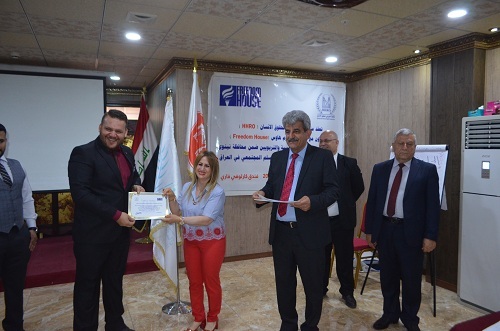 In implementation of the training program, Dr. Al-Obaidi distributed topics related to religious freedom , its limits ,acceptance and campaigns to defend the freedoms and necessary protection , the role of civil society, elite and women, as well as the duties of clergy men in establishing this freedom and civil peace and the role of the university as a tool for diversity and respect for freedoms , media and its impact and mind building of child and the basics necessary to support the return of the migrants and displaced people to build the foundations of the culture of justice and forgiveness. The topics addresses to the participants of the workshop in order to discover the best ways to launch this essential therapeutic task for the rehabilitation of the community of Ninewah province after devastation and to lift the social reality of everything from attempts to abolish the other, and to ensure the protection of rights of all components through establishing the values ​​of respect of religious freedoms and protection of infringement in education and training programs and others.